Copyright is not always about searching for the creator of a particular work, but also about controlling usage and exploitation rights. Under German copyright law a creator obtains copyright protection automatically with production. In other words, unlike a trademark, a work does not need to be registered in order to receive copyright protection. However, under German copyright law a work must fulfil minimum requirements to be able to benefit from protection. 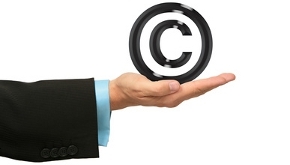 A creator or owner of a copyright has the freedom to decide the conditions under which a work may be published or used, and he can transfer usage and exploitation rights to third parties. This is why it is collecting societies, music companies and publishers which assert rights to copyright. Although copyright law has a long and rich tradition, the rash developments in new media present unique challenges. Previous unknown types of use of a work are emerging and digital content can often be limitlessly reproduced to a high standard by the average person. Copyright-protected films, texts and music can be found on foreign websites, file sharing websites and social networks. These developments affect not only copyright holders, but also normal citizens, who are often confronted with unverifiable accusations of having infringed copyright legislation. The law firm WILDE BEUGER SOLMECKE has a team of highly experienced specialist lawyers in the area of copyright law. The team can advise you on the options for pursuing breaches of your rights or defending a copyright claim.